3.1 Why Did The LeapPad Epic Not Make The Top Spot? 4.1 Why Did The Nabi Jr Not Make The Top Spot? 5.2 How Can A Tablet Help Your 3 Year Old Meet Their Milestones? With all the choices available to you on the market, finding the best tablet for a 3 year old can be really overwhelming. From prices, to educational ability, you want to find the best one out there without breaking the bank. 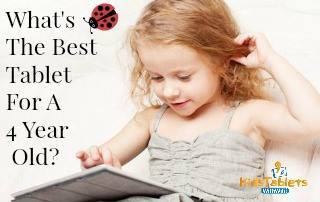 Below, you can find our top picks for the best tablets for three year olds currently available. Having a three-year-old at home is both a fun and challenging time as a parent. From finishing up with potty training, to preparing your child for preschool, 3 is a very important age for growth and development. With that in mind, we’ve selected what we believe to be the top tablets for 3 year olds available based on educational goals, affordability, durability, and developmental goals. After trying out multiple tablets for 3 year olds, we’ve chosen the Kindle Fire HD 8 Kids’ Edition as the best tablet for 3 year olds in 2017. There are actually quite a few reasons for this choice. First, you have access to a huge selection of free educational apps, games, videos, and books, thanks to the free year of Amazon Freetime Unlimited. There are literally thousands of things to choose from, which means that your child will not quickly become bored, and thanks to the increased amount of memory available in the HD 8 Kids’ Edition, you won’t find yourself constantly deleting games and apps as many parents have in the past with previous Kids’ Edition Fire models. Also, you can add a microSD card for additional photo and video storage in case you find the tablet running low on memory, or you’re wanting to have some entertainment available for your child on longer road trips. On top of the educational content available inside of the Freetime App for free, you also have a massive selection of content available on the Amazon App Store under parent mode. Our top recommended educational app for younger children, ABC Mouse, is available on the Amazon App Store, and can quickly be added to your child’s account by assigning permission to it from your own account. If your 3 year old is not going to be entertained by the tablet, then it will probably end up in the pile of never-used toys somewhere in the recesses of their room. Thankfully, you’ll never have to worry about that happening with this tablet. With access to hundreds of age-appropriate videos inside of Amazon Freetime Unlimited, your child will be able to watch hours of shows featuring their favorite characters such as Mickey Mouse, Teenage Mutant Ninja Turtles, Caillou, My Little Pony, and much more. On top of the video content inside of Freetime Unlimited, you can also access streaming video apps like Netflix and Amazon Prime Video. I really wish that this tablet had been available when my kids were younger as I know that Netflix alone would have entertained them for hours. One downside to note with the Amazon Prime Video service however, is that it is only available while in parent mode and access can not be given to children inside of Freetime. Hopefully this will be changed in a future update to the Amazon Freetime software. Once again, thanks to Amazon Freetime Unlimited, your 3 year old is not going to become bored as they have hundreds of apps and games available to them for free. Many of these titles are specifically geared toward the developmental goals of preschoolers which will help your child be more prepared for preschool, and as they grow older, kindergarten. Once again, having access to the Amazon App Store in parent mode will allow you to add on even more popular games and apps such as Minecraft and ABC Mouse. Thanks to the impressive quad-core processor inside of the HD 8, your child will have no problem playing the titles they really want. It’s important to note that apps and games can only be accessed from the internal memory of the tablet. This is where the HD 8 Kids’ Edition really shines as it has an impressive 32GB of memory on the tablet itself. With that much memory, you won’t have to worry about constantly dumping apps as many parents, myself included, have in the past. In previous models, the maximum amount of available memory was only 16GB. Let’s face it, most three year olds are pretty rough with their toys. Thankfully, this isn’t an issue with the Kindle Fire HD 8 Kids’ Edition. First, you have the sturdy design of the Kindle Fire HD 8. These tablets are fairly durable on their own, and I speak from personal experience in saying that I’ve dropped my non-kids’ edition several times on carpeted floors without a protective case, and thankfully haven’t had any issues. There’s even a little bit more protection when it comes to possible breaks and damages because the Kid’s Edition of the Kindle Fire HD 8 has an included rubber foam case,. Even with all of this protection however, accidents do still happen, and thankfully, this is where Amazon has really made their Kids’ tablet lineup shine above the rest. This is because they have a 2 year worry free guarantee that literally states that they will replace the tablet if anything happens to it for any reason whatsoever. If your 3 year old leaves the tablet outside or spills milk on it, you’re covered. If it gets stepped on in the middle of the night because it was left in the floor, you’re covered. Honestly, this warranty was the final tipping point for making the Amazon Fire HD 8 Kids’ Edition not only my pick for the best tablet for 3 year olds, but also the overall best tablet for kids. This is where the Kindle Fire Kids’ Edition kind of fell a little short in my book. This is because while app, game, video, and book selection inside of Freetime is set for your child’s age, there is no child safe web browser in place on the tablet. This becomes an issue with apps such as YouTube, as your child can click on any video that they choose and watch it, so long as their isn’t any “mature themed” content inside of the video. Honestly, if this is a concern that you have, as I did, you can quickly disable the internet browser altogether, and simply not install the YouTube app. By doing this, you can limit your child to only having access to the content inside of Amazon Freetime, which will limit any unapproved videos and websites from their access. Also, with the new generation of Kindle Fire Kids’ tablets, a new service has been launched by Amazon called the Amazon Parent Dashboard. Inside of the dashboard, you can create child profiles, and see exactly what your child has been doing on their tablet. If you have multiple children at home, you can set profiles up for each child and quickly switch between them inside of the Parent Dashboard. Another great feature of the dashboard is included interactive cards that provide you with questions relating to the content that your 3 year old has been consuming. In my opinion, this is a great way to allow for engagement with your child while also teaching them how to recall information that they have consumed from content on the tablet. As previously mentioned above, I’ve actually tested many other great tablets for three year olds while choosing the Kindle Fire Kids’ Edition as my top pick. The tablets listed below are all worth taking into consideration if you’ve decided that the Kindle Fire Kids’ Edition just isn’t your cup of tea. This tablet features a very impressive library of age appropriate titles that any 3 year old is sure to enjoy. Also, just like the Kindle Fire Kids’ Edition, you can access the Amazon App Store inside of parent mode and add many more games and apps. It will also allow you to use services such as Amazon Prime Movies as well as Netflix for hours of entertaining and educational videos. Why Did The LeapPad Epic Not Make The Top Spot? Unfortunately, this tablet is fairly limited in the amount of available age-appropriate free content. If you’ve ever owned a LeapPad tablet in the past, then you’re most likely familiar with the average price tag of $20 per title when purchasing LeapPad cartridges. Even though most titles for the LeapPad Epic are available online through LeapFrogs’ App Store, you don’t really see any discounts for the software, even though you no longer have to have specific physical cartridges in order to play many of the titles available for the tablet. One other thing that really dropped this one out of the top spot as the best tablet for a 3 year old; was the fact that it only comes with a 1 year limited warranty. When compared to the Kindle Fire HD 8 Kids’ Edition, this was a deal breaker for me personally. With that said however, the parental controls on the LeapPad Epic are second to none, and include a kid-friendly web browser that will allow your child to have a little bit of freedom browsing online while you can rest assured that they will not be accessing inappropriate content. Along with the HD 8 Kids’ Edition mentioned above, Amazon has also released a new Fire 7 Kids’ Edition tablet that while still impressive, fails to compare to the overall value offered by the HD 8. This is because while all of the core features are the same in both tablets, the price difference of $30 is minor when compared to the two major differences in the tablets. For starters, the HD 8 is a bit bigger than the 7 which will allow for an easier grip and interaction for your 3 year old. On top of that, the HD 8 Kids’ Edition has a true HD resolution screen while the Fire 7 Kids’ Edition does not. Also, the Fire HD 8 Kids’ Edition has twice the memory over the Fire 7. This means that you can store twice as many games and apps on the HD 8 as you can on the Fire 7. With that said, the Fire 7 Kids’ Edition is still a quality tablet that will give your 3 year old hours of entertainment through the Freetime Unlimited service, and also allow you to feel secure knowing that you have a 2 year worry free warranty should something happen to the tablet. Best Nabi Tablet For A 3 Year Old – The Nabi Jr.
As far as great tablets for rough and tumble play are concerned, the Nabi Jr. is second to none. The tablet itself is very durable and can really stand up to the abuse that many toddlers and 3 year olds will put on it. The Nabi Jr. is also a very impressive tablet when it comes to education. With the included Nabi Wings App, your 3 year old can progress through games that will help them develop reading, writing, and math skills as they’re ready. They’re also awarded with Nabi Coins as they meet different goals. Why Did The Nabi Jr Not Make The Top Spot? Unfortunately, even though the company continues to update the tablet, it still feels pretty dated. Back in 2015 when we first looked at this one, it was a very impressive model for what was offered. Now, sadly it feels very dated, and many of the original bugs that it had have never been corrected. While I’ve personally never seen any issues, many users report that their Nabi Jr. tablets are faulty upon receipt. On top of that, there are numerous reports of the tablet failing to charge and the batteries overheating. Also, this tablet has a very limited amount of memory. With only 8GB of onboard memory available, your child will quickly fill it up and be unable to install any additional games or apps. The final straw for this one is the fact that there is very little free content available for it. After getting it all set up, you’ll find that you’re being charged small amounts for almost everything your child wants to do. All in all, while this one is the best Nabi tablet for a 3 year old, I’d personally recommend passing on it for one of the other tablets mentioned above. 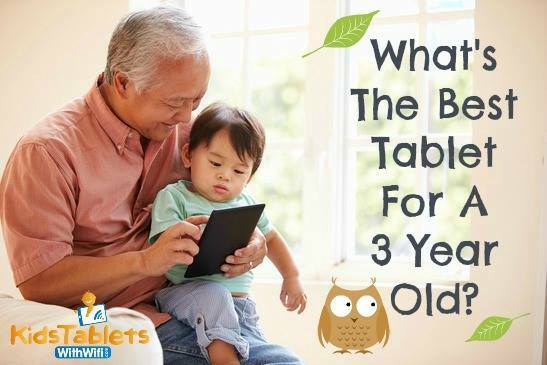 Now that we’ve covered the top tablet picks for 3 year olds, let’s talk a bit about exactly what’s going on with your three year old as far as growth and development is concerned. It’s a wonderful age, and you can really start to see the transition from toddler to preschooler in your child. Understanding the concept of counting and may even know a few numbers. As you can see, there are quite a few milestones to be met by 3 year olds. Thankfully you’re there to help guide them along the way to meeting all of them. How Can A Tablet Help Your 3 Year Old Meet Their Milestones? Thanks to all of the technology that we have at our disposals now as parents, meeting the milestones that are given to our three year olds has never been simpler. When it comes to tablets, what you need to be looking for are ones that will allow you to monitor your child’s level of success, and provide you with a way to interact with them on tasks as well. One example of this is the way that you can access question and discussion cards from the Amazon Parent site. By doing this, you can ask common questions that relate to stories that your child can listen to inside of Freetime. Also, you can take advantage of numerous different counting games and apps to help them meet milestones related to math and numbers. Of course there’s also many different color related games that will help your 3 year old begin to understand and recall different colors and shapes. As far as fantasy play is concerned, this tablet will help your child begin to develop more imagination than you ever thought possible. As you can see above, there are a lot of different tablets to choose from when you’re trying to find the best tablet for a 3 year old. Hopefully, you can now choose the best one possible for your little one. If you still have any questions, or would like to leave a comment below, we truly do appreciate your feedback. Oh the kindlefire looks like such a great gift to give my niece. The parental controls is the lost important for me as there is so much filth out there that can be leaked. I never heard of the Nadi jr. Is it smaller than the kindle? If it is, than that would be even better. Thanks for the information! Thanks for reaching out! I’m very happy to hear that you’ve found the tablet for your niece! I hope she enjoys using it! Yes, it is sad that with all the information available for education and entertainment that you have to keep a constant eye out for the filth that is all over the internet. Be careful with the Kindle Fire Kids’ Edition because sometimes, things on YouTube channels can come through. Just try to monitor what kids are accessing on YouTube and you should be good to go. Thankfully, YouTube has many internal filters that will keep the worst of it at bay, but I have seen the occasional thing slip through. One rule of thumb is to NOT sign in with a parental YouTube account on the tablet. This prevents “mature” content on the platform from being shown on the tablet. The Nabi Jr. is a little smaller than the Kindle Fire HD 8 Kids’ Edition, but it doesn’t have near the same power as this generations Kindle tablets. There is a smaller Kindle Fire Kids’ Edition out there that was released with this one that I mentioned in the review above. Hope this helps you out and best wishes to you and your family! Several great tablets here and what strikes me is how cheap many of them are. My kids have always used Ipads and they are happy with that but it is of course in a completely different price range. I think kids, regardless of age can learn a lot from using tablets. My four year old already speaks English (I am Swedish) and she learned this herself, simply by playing and watching films on the tablet. Her old ipad is getting worn so maybe I will take a look at one of these tablets to replace it with. Thanks for reaching out! Yes, iPads can be amazing educational tablets for children, but I don’t mention them in this post, primarily because of their costs. I’m very happy to hear that your daughter is having that much success with her current tablet! With proper use, tablets are certainly an amazing way to give your child a huge leg up in their education! There are a lot of great iPad games and apps available for children’s education, and several really neat accessories that really take things to the next level. For example, there’s one that allows your child to trace and draw while the iPad uses a projector to project images and scan papers. It’s REALLY cool, and a great tool for children’s creativity! When using an iPad with a child, there are a lot of things that you have to do in order to “child-proof” it, and I plan to be covering that topic in-depth in the coming months, so please come back and check it out. On another note, if you decide to go with the Kindle Fire HD 8 Kids’ Edition as the next tablet for your child, I’m sure that she will enjoy it thoroughly. The amount of content available at no additional charge alone is very impressive to most children. Thanks again for reaching out Jojo, and best wishes to you and your family! What an awesome website! I wish I had this when my kids were those ages. Keeping up with technology is difficult with all the changes that come out year to year. You have done a great job reviewing each product, and as I have observed my younger family members I agree, the Kindle Fire HD 8 Kids’ Edition is an excellent piece of equipment! I love the parental control features it offers, and the warranty is an absolute plus! Thanks for taking the time to reach out! Yes, it can be a bit of a challenge to keep up with all of it. I enjoy creating the reviews honestly, and as my kids are getting older, they’re becoming even more interested in technology. My eldest son is actually running his own gaming stream and YouTube channel now (with my supervision of course,) and my youngest started participating in robotics last year with 4-H. It’s a really cool program and all the kids’ involved are very into it, in his group. I’m glad to hear that the young ones in your family are enjoying their tablets and again, thank you for touching base! I have an almost two-year-old and she has one of these. They are absolutely fantastic! So far she hasn’t broken it and as you can imagine, she can be pretty rough with it at times! Another thing I love about the tablet is that they have the kid settings already set up, which includes so many different activity learning games. This is really a great electronic to get your kids! I enjoyed the read and found out some things I hadn’t before, so thank you! Thanks for reaching out! I’m very happy to hear that your 2 year old is enjoying this tablet. I was a little leery to recommend it for kids younger than 3 because I believed the interface may be a little too challenging for them. After your comment thought, I may have to reconsider my recommendation. I have a few little helpers that will happily give it a try for me though. I will have to reach out to them and get a couple Kindle Fire Kids’ Editions into their hands to try out and let me know. This tablet has certainly came a long way. This is actually the 7th generation of the tablet and back in generation 1, they weren’t a very good deal at all. They would freeze, lock up, and simply didn’t have enough power to run the Freetime App, let alone other apps and games. Thankfully, this generation is MUCH MUCH better. Thanks again for sharing your results and best wishes to you and your family! A week ago my friend was trying to decide between Leapfrog Epic and the Kindle Fire HD 8 for her 2 kids age 6 and 3 years. She told me that they own previous models of the Leappad but her 6 year old son was beginning to get bored so she’s thinking of a different tablet. She told me about her preference for Leappad because she found them educational and that her sons learned so much from them over the years. I will bookmark this post and pass it on to her as she will find it helpful in her decision. Thanks for reaching out! Yes, I do like the Leapfrog tablets, but as your friend is realizing, most kids will refuse to use them after age 5 or 6. That coupled with the additional costs of games and apps for the tablets that they currently have are kind of phasing them out as the top educational tablet line. I hate to see that because when I first started this site several years ago, Leapfrog had an amazing offering that received countless awards from educators and tech groups alike. 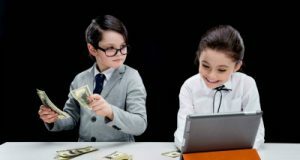 As time has moved forward though, they’ve continued with the same business model while other manufacturers have increased their offerings of tablets and educational apps and games for children, and they’ve done this for less money. Now there’s a lot of options currently out there that give great educational value for free or much cheaper than what you can get from most of the LeapPad family of tablets. Hopefully, Leapfrog will see the market changing and will adjust their strategies in the coming years. Thank you for this well-detailed review. It just happens that I’m on the hunt for a new tablet for my daughter. I agree with you when you say most three year olds are pretty rough with their toys. Mine’s a tornado–she slammed her now-damaged tablet against the wall. The Fire 7 Kids’ Edition tablet seems interesting. If I may ask, how’s the screen like? I mean, my daughter has the tendency of using blunt objects to play pretend writing on her tablet as if she was using a stylus. So, I’m worried she would scratch or damage the screen. I’m not a “techie”, but I know some tablets come with anti-scratch screens. Not sure whether this is the case with the Fire 7. Thanks for reaching out! I don’t believe that it necessarily has an advertised anti-scratch screen. I haven’t noticed any deep scratches on any of the Kindle Fire Kids’ generation tablets that I’ve used or that my kids have used. The included case that comes with the Kindle doesn’t include a screen protector, but you can get some really good ones for right around $8 here. These screen protectors will help to prevent scratches if it is a normal problem. Thanks for taking the time to reach out! I know a lot of parents feel the same way you do, and believe it can often be difficult to find the best tablets for their kiddos. I like LeapPad tablet line for the most part, but in recent years, I have to admit that there are better choices on the market due to speed, power, and app selection. In my opinion, LeapFrog, with the exception of the LeapFrog Epic, tries to constrain you too much to only have access to games available on their own platform. Worst of all, these are generally more expensive than apps on the Kindle store, Google Play Store, or iTunes Store. I hope that this article has helped you decide on the best tablet for your two children, and best wishes to you all! The Fire HD8 is actually very reasonably priced for all the entertainment it will offers the kids. 32 GB internal memory as well that is expandable is another plus. I think this would be great for any preschooler. Being able to watch videos and play their favorite games will keep them happy at certain times you need them to be. Some might suggest it’s not a good idea for a tablet at such a young age but in today’s world, they would be on your phone otherwise so having their own tablet is a win for any parent. First, thanks for reaching out! Yes, I have to agree that the Kindle Fire HD 8 kids edition offers a lot of value, especially with its’ impressive memory amount. It gives more than enough space for apps, games, and the like. The expandable slot is great for movies, but keep in mind that you can’t put games or apps on there. I do also agree with you on the fact that tablets for 3 year olds is a little concerning as far as age goes, but I’ve actually had parents informing me that their kids are being handed tablets at daycare and preschool. All we can do is hope that they are taking the time to get quality kids’ tablets, and not ones that allow them free reign online as those for adults do. Best wishes, and I hope that you’ve found the perfect tablet for your little ones! YES, YES, YES, OH AND YES. My daughter will be 3 in August and we were thinking of buying her a tablet, now after reading your review on the Kindle Fire Kids edition, i am 100% sold on this one. I never knew it had such great content! My daughter is going to love this and hopefully it’ll keep her from asking to borrow my phone so much lol. Thanks for reaching out! I’m very glad that you found this one for your daughter, and I hope that she thoroughly enjoys using it! Yes, the amount of content offered for these tablets is very impressive. With books, games, apps, videos and so much more accessible to them, children love having the amount of content that is available. One word of caution to you though. Make certain that you check it every now and then and remove content that she is no longer using so that you avoid letting the tablet’s memory completely fill up. If it does, you may need to contact Amazon support so that they can help you clear it off, as it has a tendency to lock up the tablet. In previous generations, this has been a BIG issue, but with the additional memory available this time around, it should be much easier to prevent this from happening. This tablet should certainly help you to keep your phone in your possession, while she gets to enjoy using her new tablet, LOL! Thanks again for reaching out, and best wishes to you and your family! I just bought 3 Kindle Fire 8 for our children, ages 5, 7 and 9. Our goal is to use the tablets in our homeschool as they do Math online and we love apps like ABCmouse, Epic, BrainPOP Jr, etc. Hey Ana, thanks so much for reaching out! I really appreciate the compliment! Hopefully those will work really well for your kids. I know that mine absolutely love them and they work really well with ABC Mouse. Best wishes to all of you with your home school endeavors and thanks again!